The Expo Site covers a total area of 5.28 square kilometers, including the enclosed area and outside areas of support facilities. The Expo Site spans both sides of the Huangpu River, with 3.93 sq km in Pudong and 1.35 sq km in Puxi. The enclosed area measures 3.28 sq km. 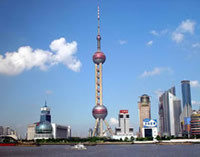 There are 12 pavilion groups, eight in the Pudong Section and four in Puxi, each with an average area of 10-15 hectares. PDF download [5MB] | Click to view bigger picture! PDF download [6MB] | Click to view bigger picture! PDF download |Click to view bigger picture! PDF download | Click to view bigger picture! 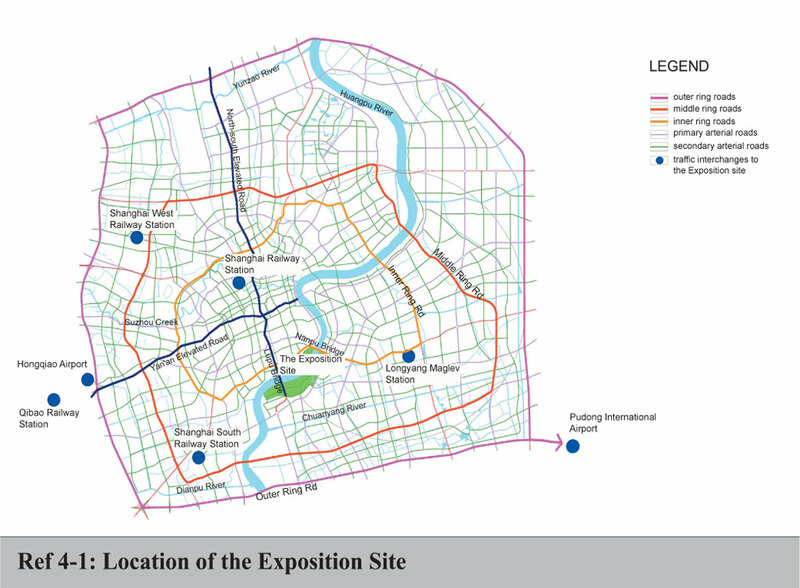 Taking into account such factors as proper walking distance and perception of visitors, the master plan of Expo Shanghai puts forward a five-level structure of park, enclosed area, zones, groups and clusters. Park: The Expo Site covers a total area of 5.28 sq km, including the enclosed area and outside areas of support facilities. The Expo Site spans both sides of the Huangpu River, with 3.93 sq km in Pudong and 1.35 sq km in Puxi. 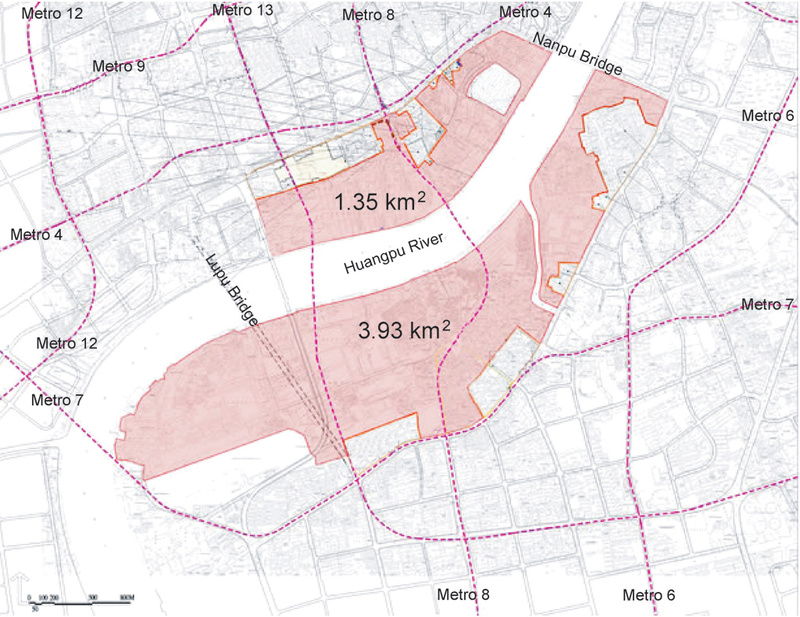 Enclosed Area: Enclosed area measures 3.28 sq km (2.39 sq km in Pudong and 0.9 sq km in Puxi). Zones: There are five functional zones marked A, B, C, D and E respectively, each with an average area of 60 hectares. Groups: There are 12 pavilion groups, 8 of which in the Pudong Section and 4 in the Puxi Section, each with an average area of 10-15 hectares. Clusters: There are 26 pavilion clusters, each covering 2-3 hectares. The average floor area of each pavilion cluster can accommodate 40-45 exhibition units with each exhibition unit covering a total floor area of 20,000-25,000 square meters. For the sake of convenience, each pavilion cluster will contain small canteens, shops, telecom, toilets, nursing services and other public facilities. Foreign national pavilions, to be grouped by the continent they belong to, will include 3 types: Type 1, pavilions designed and built by official participants; Type 2, stand-alone pavilions built by the Organizer and rented to participants; Type 3, joint pavilions constructed by the Organizer and offered spaces to developing nations free of charge. Zone A is located between the Expo Boulevard to the west and the Bailianjing rivulet to the east in the Pudong Section. Zone A will host China Pavilion and national pavilions for Asian countries except Southeast Asian ones. Zone B covers an area between Zone A to the east and Lupu Bridge to the west, hosting national pavilions of Southeast Asian and Oceanian countries, Pavilions for International Organizations, Theme Pavilions, Expo Centre and Performance Centre. 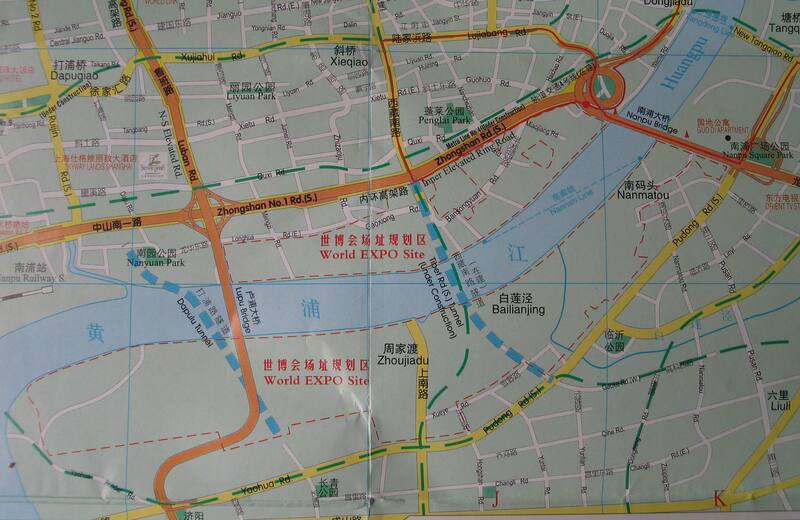 Zone C is located in Houtan to the west of Lupu Bridge in the Pudong Section. It will host European, American and African national pavilion clusters. A large public amusement park of about 10 hectares will be built at the entrance. Zone D is located to the west of the Expo Boulevard in the Puxi Section. The land is one of the original places of modern Chinese national industry and the site of the Jiangnan Shipyard. Some of the old industrial buildings will be kept and renovated into corporate pavilions. The docklands and slipway to the east of the corporate pavilions will be reserved and made into space for outdoor public exhibition and cultural exchange. 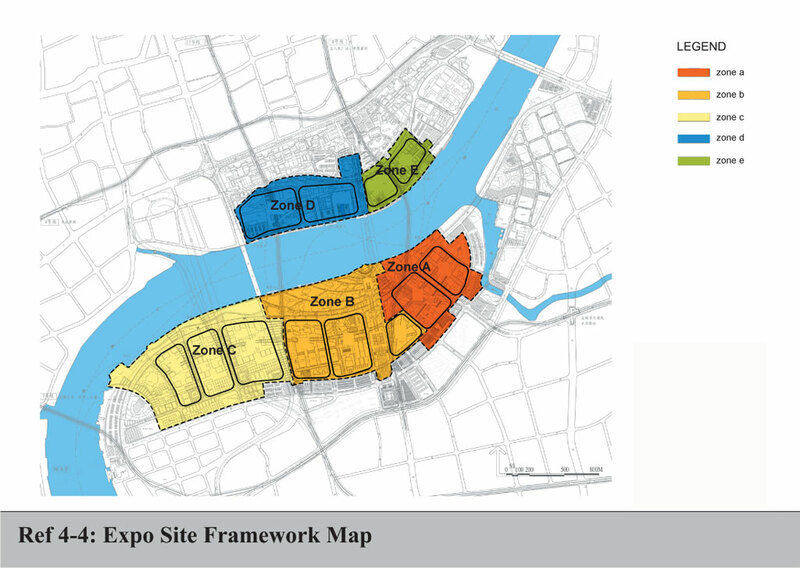 Zone E located to the east of the Expo Boulevard in the Puxi Section, will host stand-alone corporate pavilions, Urban Civilization Pavilion, Urban Exploration Pavilion and the Urban Best Practices Area.